RIGHT SPEAK: Why Is Lisa Murkowski Still a Republican? Lisa Murkowski has been a Republican senator from Alaska since 2002. She has accepted millions of dollars in assistance from the Republican National Committee, availed herself of the expertise of political professionals at the RNC, and gone to the voters of Alaska three times telling them she was a Republican. But when the chips were down and the party that had nurtured and supported her throughout her political career needed her, she spit in their face. 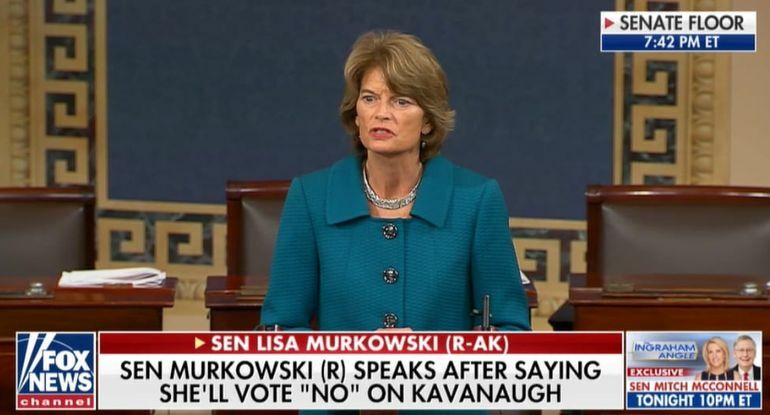 Murkowski was the only Republican to vote "no" to bring the nomination of Brett Kavanaugh to the floor for a vote. Her explanation was long-winded and convoluted, but in the end, she said it was a vote of "conscience." Politicians vote their "conscience" when it is convenient to do so. In Murkowski's case, her claim of conscience would be more believable if she didn't already know that her colleague, Senator Susan Collins, was going to vote to confirm Kavanaugh. This meant that her vote was not needed for confirmation and she could safely indulge her pique against the president without recriminations from her colleagues. Read the rest from Rick Moran HERE. The word "Republican" now clearly means misogyny, racism, bigotry, hypocrisy and stupidity. No respectable woman should belong to the GOP, which is shooing women away. GOP: "We don't need no stinkin' women!" She needs to go back to being independent. Like me, and a lot of other former Stockholm syndrome victims. See the Politico article today. SPOT ON. Let the GOP die. Only 25% of American women are still Republican. Let's see how that works out for them, seeing how women vote in higher numbers than men. How could we ever trust a 'female' Democrat as president? and there is NO WAY "Martha" is a Republican, she never was. "Martha" certainly has always supported the CIA Media, and attacked news blogs like the one here. she said we should not be allowed access to alt-media. She has NO credibility of even being an American. Linda Sarsour one of the harpies arrested after literally howling in the gallery of the Senate. She is a sharia fanatic. She claims to hate kavanaugh, but this hysteria actually is soros sponsored, and islamic propelled. Sarsour is not a feminist, she is an enemy of the state. Martha makes a mistake thinking she speaks for women. "The only women who have betrayed the sisterhood are the current crop of feminists with their intersectional nonsense and Marxist-driven effort to keep groups in contention. 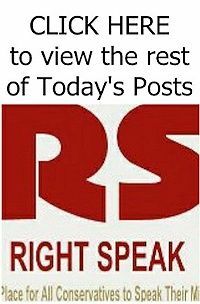 They have betrayed other women with their false accusations against men, crying wolf and putting real victims at risk of never being believed." Bitter people like Martha are a kook fringe. American women support individual rights and due process for ALL; sane people do not exclude men.